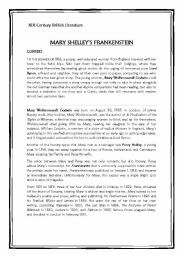 Context, plot overview and questionaire on Mary Shelley´s Frankenstein before watching Kenneth Branagh´s film. There will be more activities on the film soon. 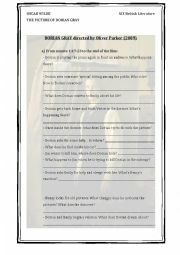 3rd worksheet with questions about Oliver Parker´s ´Dorian Gray´. The questions are from scene beginning at minute 53:02 to 1:17:23. There will be a fourth worksheet with questions to the end of the film. Sherlock Holmes directed by Guy Ritchie (2009). Questionnaire from the beginning of the film to minute 21:18. 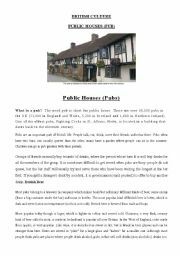 The second part and the following ones, will be ready soon. 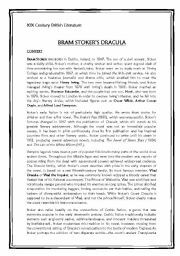 Reading and questions on Bram Stoker´s Dracula before watching F. Ford Coppola film. 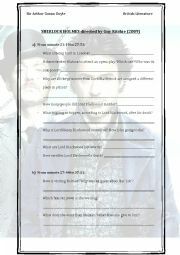 Questions on ´Sherlock Holmes´ directed by Guy Ritchie, from minute 55:20 to minute 94:40. The 4th part will be ready soon. 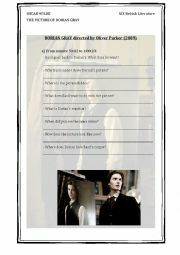 Final questionnaire on ´Dorian Gray´ directed by Oliver Parker (2009). From minute 1:17:23 to the end of the film. 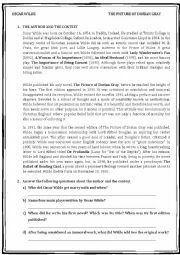 Questions on the film ´Dorian Gray´ directed by Oliver Parker in 2009. 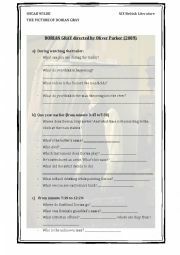 It can be used while the students are watching the film as the questions are divided by scenes. There will be more parts soon. This one gets till minute 19.